Russian lender Gazprombank has decided to freeze the accounts of Venezuelan state oil company PDVSA and halted transactions with the firm to reduce the risk of the bank falling under US sanctions, a Gazprombank source told Reuters on Sunday. While many foreign firms have been cutting their exposure to PDVSA since the sanctions were imposed, the fact that a lender closely aligned with the Russian state is following suit is significant because the Kremlin has been among Venezuelan President Nicolas Maduro's staunchest supporters. 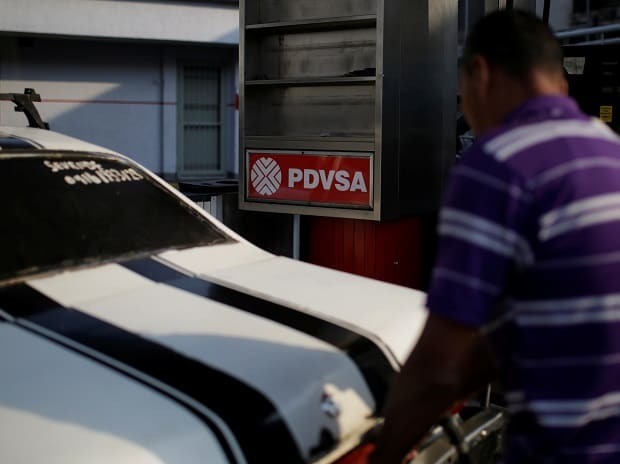 "PDVSA's accounts are currently frozen. As you'll understand, operations cannot be carried out," the source said. Gazprombank did not reply to a Reuters request for a comment. Washington says the sanctions, imposed on Jan. 28, are aimed at blocking Maduro's access to the country's oil revenue after opposition leader Juan Guaido proclaimed himself interim president and received widespread Western support. Gazprombank is Russia's third biggest lender by assets and includes among its shareholders Russian state gas company Gazprom. Russian officials have said they stand by Maduro and have condemned opposition actions as a US-inspired ploy to usurp power in Caracas. But Russian firms find themselves in a quandary, caught between a desire to endorse the Kremlin line and back Maduro, and the fear that by doing so they could expose themselves to secondary US sanctions which would harm their businesses.